The Orion, Michigan, assembly plant is in for a new round of investment as General Motors moves to idle, and if it gets its way, close four other U.S. facilities. According to a media alert on Thursday, GM is set to announce an investment in the Orion plant today scheduled for 10:00 a.m. It’s unclear what the investment will actually revolve around, but the plant currently builds the Chevrolet Sonic and Bolt EV. 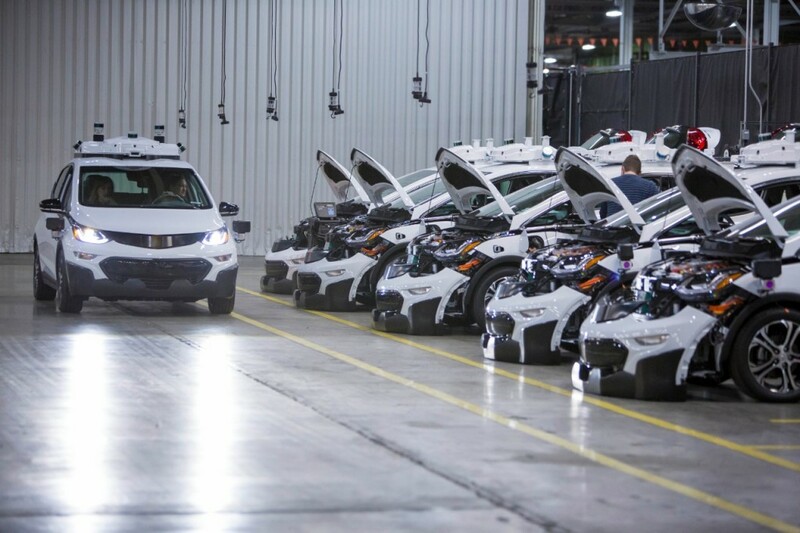 It also has the honor of assembling self-driving prototype cars based on the Bolt EV for GM’s Cruise Automation subsidiary. All the automaker shared is that is has a “major new investment” surrounding future technologies for the Orion plant. Orion was set up as a small car manufacturing hub for the U.S. after GM emerged from bankruptcy. It was a move at odds with rival automakers since most small cars are produced in Mexico. Higher U.S. labor costs eat into slim profit margins for small cars like the Sonic, and once upon a time, the Buick Verano. The Orion investment will be the latest in a string of U.S. plant investments, even as GM moves to close the Lordstown and Detroit-Hamtramck plants in Ohio and Michigan. Two transmission plants, one in Michigan the other in Maryland, are also slated for closure. In February, GM announced a $36 million investment at its Lansing Delta Township plant, which builds the Chevrolet Traverse and Buick Enclave, and a day later announced another $20 million investment into the Romulus plant for expanded transmission production in the U.S.
Over the past decade alone, GM has spent well over $6 billion investing in its American manufacturing footprint. The tally is $16.8 billion since 2009. A little unrelated, But I think that GM should give Cadillac its own plants. They could hold those plants specifically to higher quality standards. I’m thinking Lansing River (for RWD sedans and hopefully RWD XT8), and Springhill Tennessee (for the FWD CUVs). The Escalade would stay at Arlington. As an afterthought to my remarks on the other Orion plant article, I unfortunately realized this could be $300M being thrown down the AV rabbit hole that no one but big brother wants – which would play right into the Gov’t motors mantra. Time will tell – where I buy my next car! Just wanted to say, that I have been a GM guy my whole life. I bought a 2015 Chevy Sonic LT Hatchback and customized it, to where it’s the only one like it in 2 counties where I reside! Love my little Sonic!